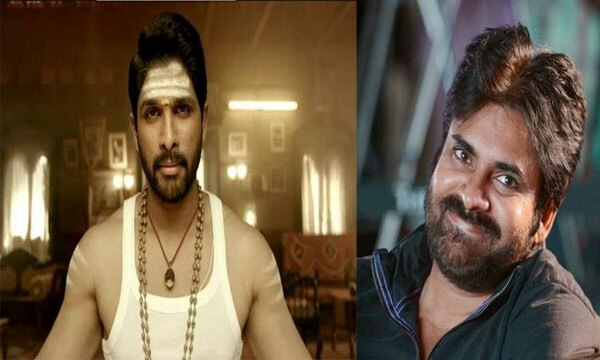 At the audio launch of Duvvada Jagannadham (DJ) on Sunday, the filmmaker Harish Shankar revealed that a dialogue of the film which was put out in the trailer was inspired by Power Star and Jana Sena chief Pawan Kalyan. The dialogue goes as, “Manam chese panilo manchi kanabadaali kaani manishi kanabadakkarledu”. The director disclosed about the situation took place between him and Power Star which inspired to write a dialogue in DJ. The audience present at the Shilpakala Vedika gave a thundering applause to Harish. He then went on to add that he hopes to get a chance to work with him again. DJ starring Allu Arjun and Pooja Hegde is all set to hit the screens on June 23. The movie score is given Devi Sri Prasad and produced by Dil Raju under Sri Venkateswara Creations banner.